linked system that starts at the feet. The positioning of your feet can affect the health, comfort and performance of your entire body. 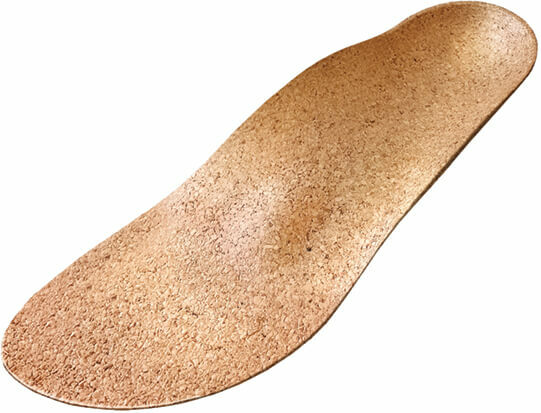 Orthotic insoles are designed to improve alignment, treat foot and ankle pain and prevent injury. The perfect amount of support exactly where you need it. Try yours with confidence today with our 90 day comfort guarantee. Without proper orthopedic support, feet can become quickly fatigued, causing overuse injuries and weakening of the arch, leading to pronation, supination, nerve damage, inflammation, plantar fasciitis and other painful orthopedic issues. 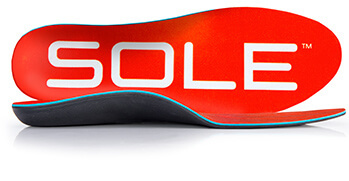 SOLE’s award-winning footbeds are the most effective over-the-counter orthotic insoles on the market. Simply put, they help eliminate your pain and protect your feet so you can get back to living well. The ankle rolls outward after landing, causing extra stress on the foot. IF YOU HAVE FOOT PAIN, WE HAVE THE SOLUTION. The foot is an incredibly complex extremity made up of a network of 26 bones, 30 joints and many tendons, ligaments and muscles that must all work together in harmony to function properly. Below are some of the most common orthopedic issues. Custom moldable orthotic insoles are designed to improve alignment and provide the mechanics you need to reduce pain and prevent further injury. I have really extreme over-pronation, low arches, shin splints and I play tennis and football for my college. For the last two years every practice and game had been a nightmare and I had to take four or five painkillers just to make it through. I replaced my prescription orthotics with SOLE footbeds and miraculously had no pain almost instantly! These things are great and have me saying goodbye to the podiatrist and looking forward to practice! SOLE simply changed my life! I spent hundreds of dollars on orthotics, none worked out for me and they were a waste money. I was suffering from plantar fasciitis for a couple of months, running and doing exercises were becoming difficult and painful. After purchasing your products, I’m hitting the gym and trails everyday and I don’t feel any pain in my feet. Thank you for designing such an awesome product! SOLE footbeds have corrected my plantar fasciitis, therefore my knees and my back. I am a 46-year-old father of a two and one year old. I’ve just run a half marathon and can pick up my two young children and dance them to sleep. My children are happy because I am mobile and they have my full attention and I’m happy because I can run six days a week with no pain. SOLE footbeds might have saved my life. These last few months I’ve been experiencing the worst shin splints ever and plantar fasciitis every time I played basketball. I just played my first game last week with SOLE footbeds and the difference was night and day. I used to want to get off the court every two minutes but now I feel like I could play forever. Prior to using SOLE footbeds I was experiencing leg and knee pain after running long distances. A month after using them I ran in a half marathon, set a new personal record and wasn't even sore the next day! This year I am ready to take my running career to a whole other level by running with SOLE footbeds. All SOLE footbeds are designed with the same signature orthopedic shape featuring a supportive arch, deep heel cup and moldable orthopedic base. With three different levels of cushioning and varying features, there is a SOLE footbed that perfectly suits your needs. SOLE footbeds are heat/wear moldable to provide a customized fit that acts as a dynamic second skin, equalizing pressure distribution while optimizing your foot’s natural motion. Moldable orthopedic baseCustomizes to the shape of your foot without compromising the orthopedic shape with a heat/wear moldable base.